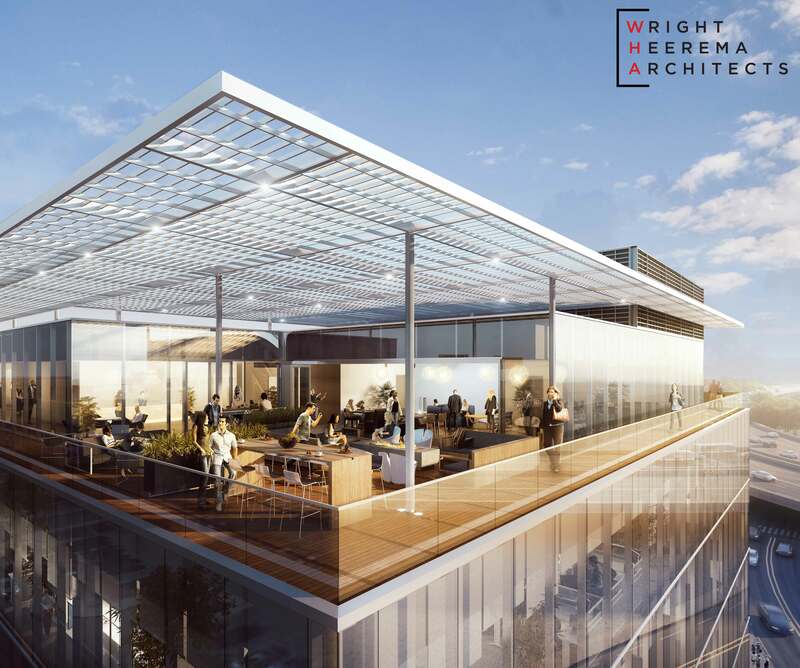 Wright Heerema Architects is redeveloping a seven-story, 90,000 SF office tower in Grand Rapids, MI. WHA has worked with client Franklin Partners on several other office redevelopment projects including 25 Ottawa. 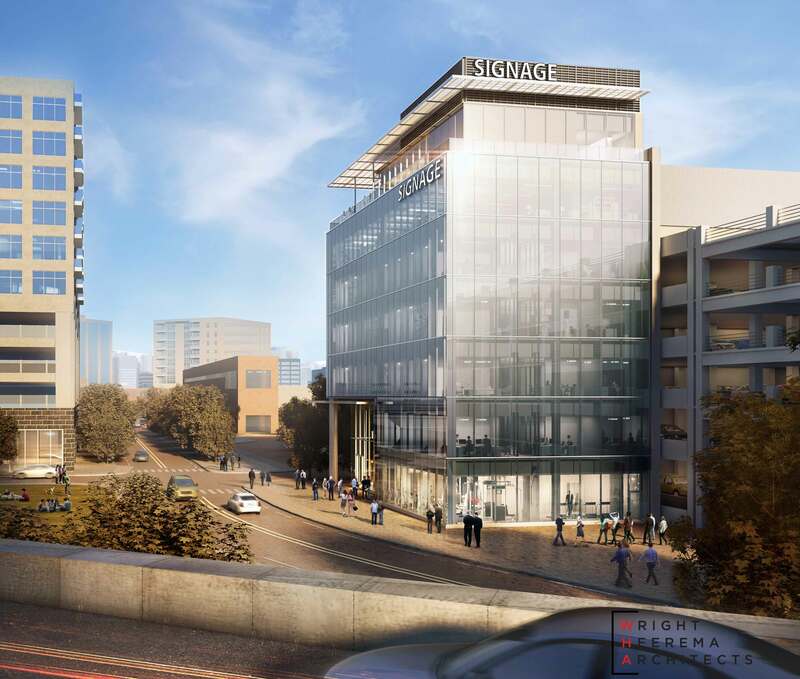 100 Ottawa is a first-of-its-kind in Grand Rapids, Michigan, new generation office building designed for today’s way of working. As part of Studio Park’s mixed-use redevelopment project, it showcases a hotel, restaurants, retail, housing, a movie theater, a public piazza, and thoughtfully accommodates both cars and bicycles. The building’s location offers vehicular access to major thoroughfares, great visibility and signage opportunities from U.S. Route 131, and a direct connection to covered parking. The two-story entrance lobby showcases a feature wall designed to recall the rapids of the river. Office floors offer higher than market typical ceilings and new floor-to-ceiling vision glass that maximizes daylight and thermal characteristics. A state-of-the-art mechanical system also helps maximize tenant comfort through advanced temperature regulation. 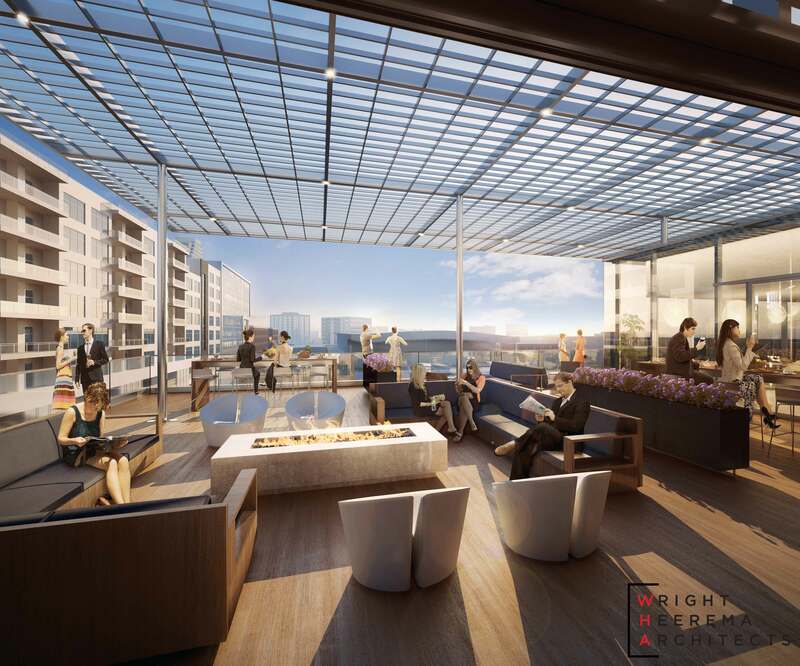 New building amenities are available to all tenants and include a conference center, fitness center with private group studio, and roof deck with views of downtown and the river. Read more about the project on MiBiz.